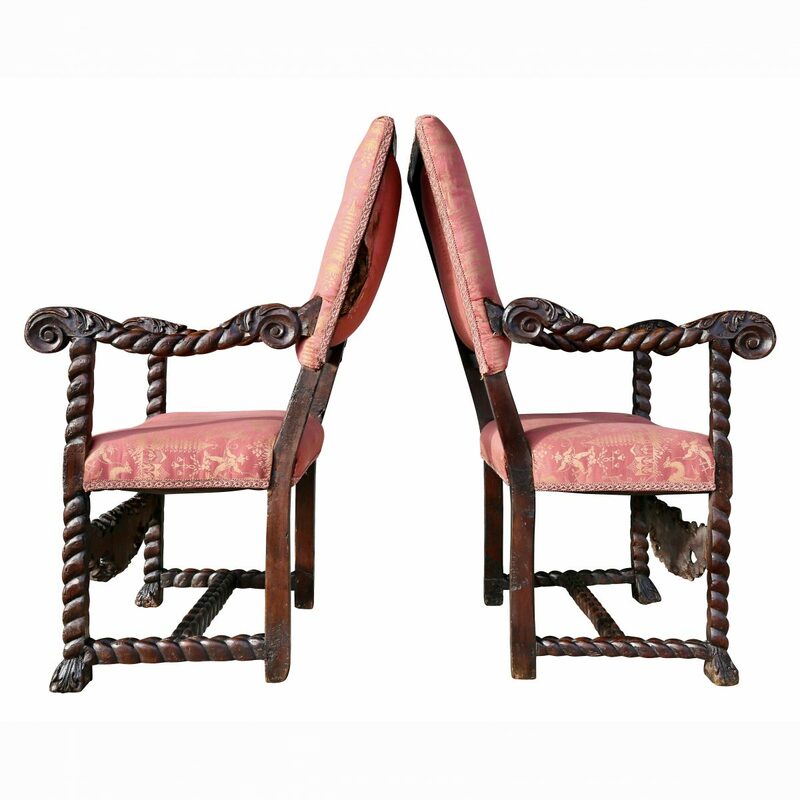 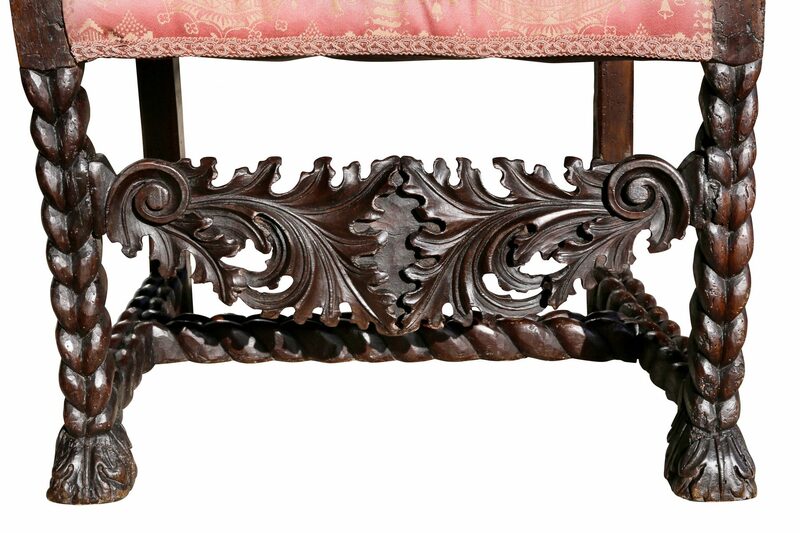 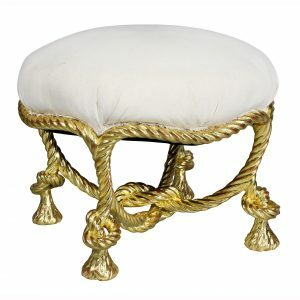 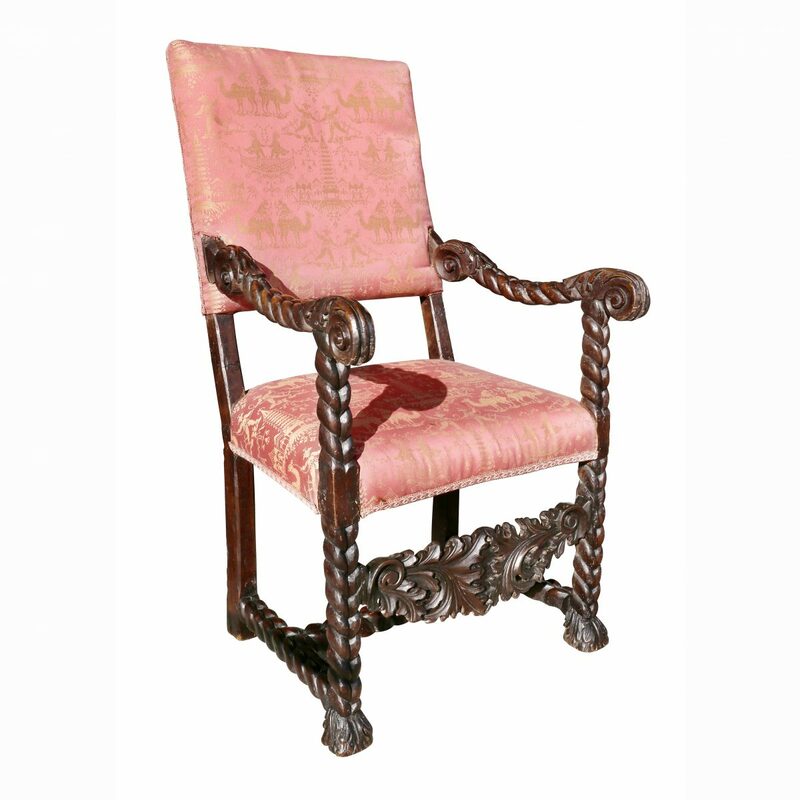 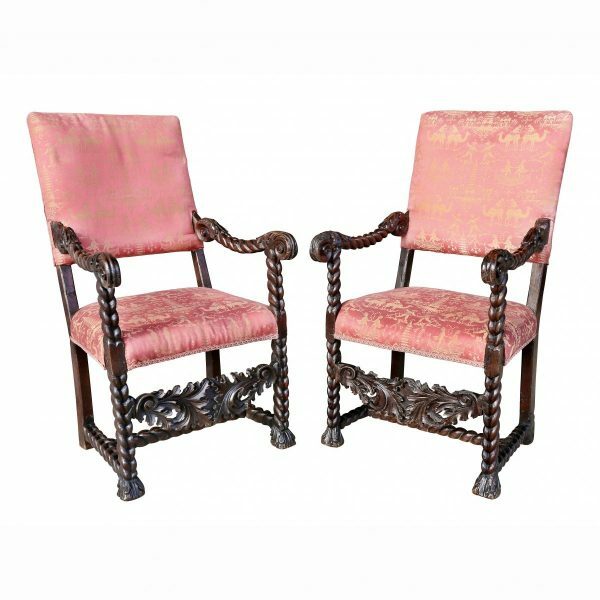 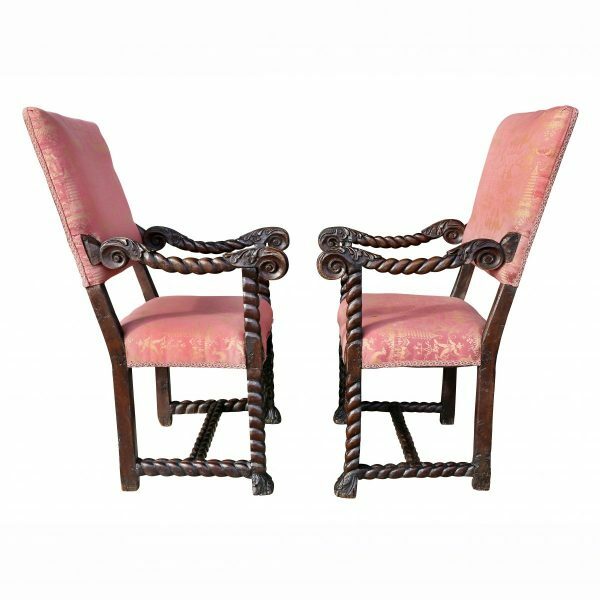 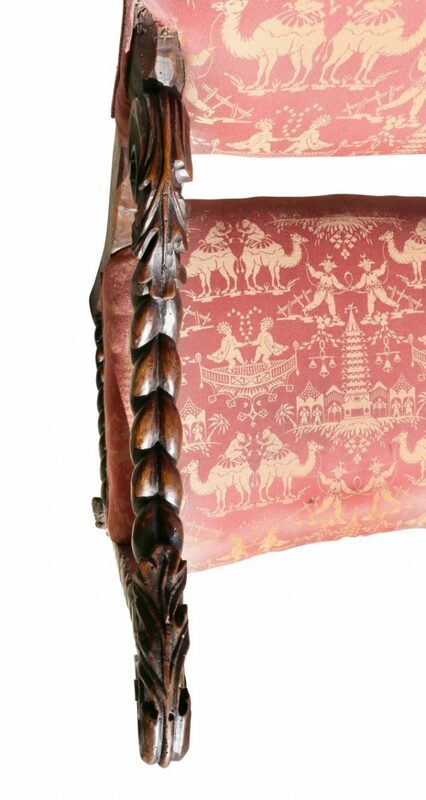 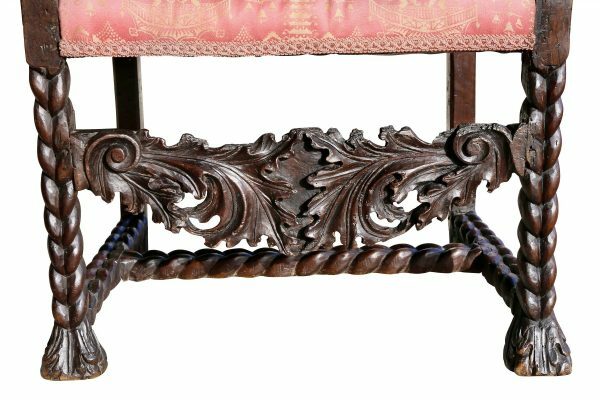 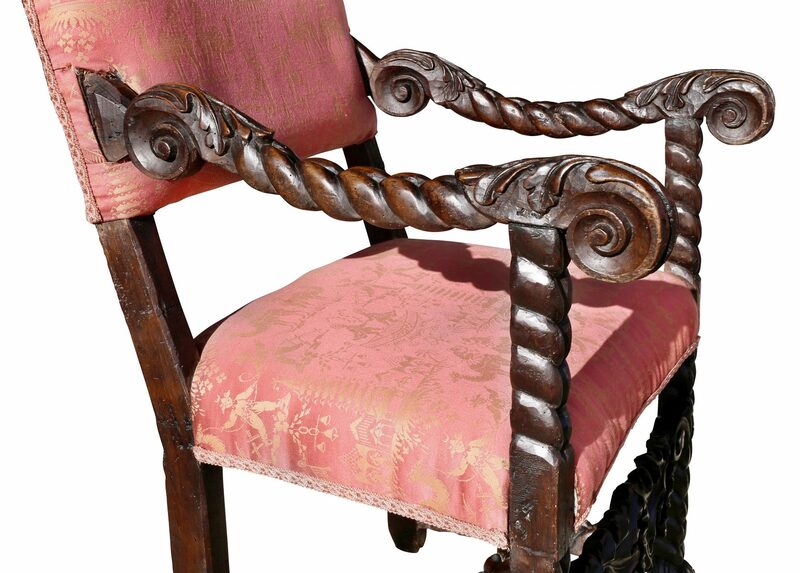 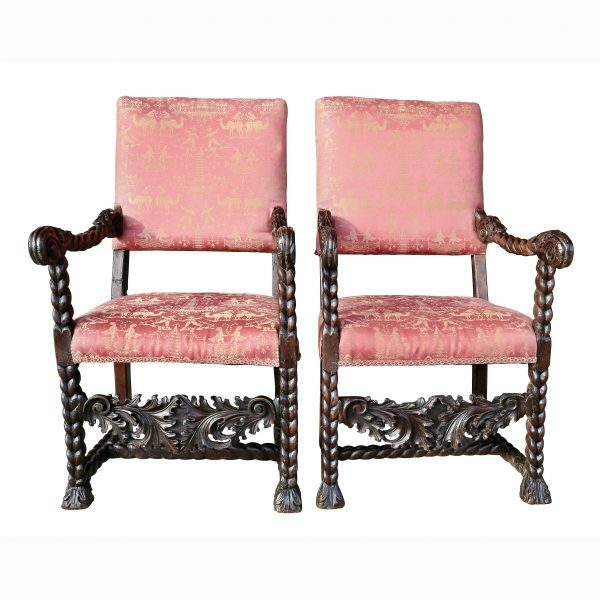 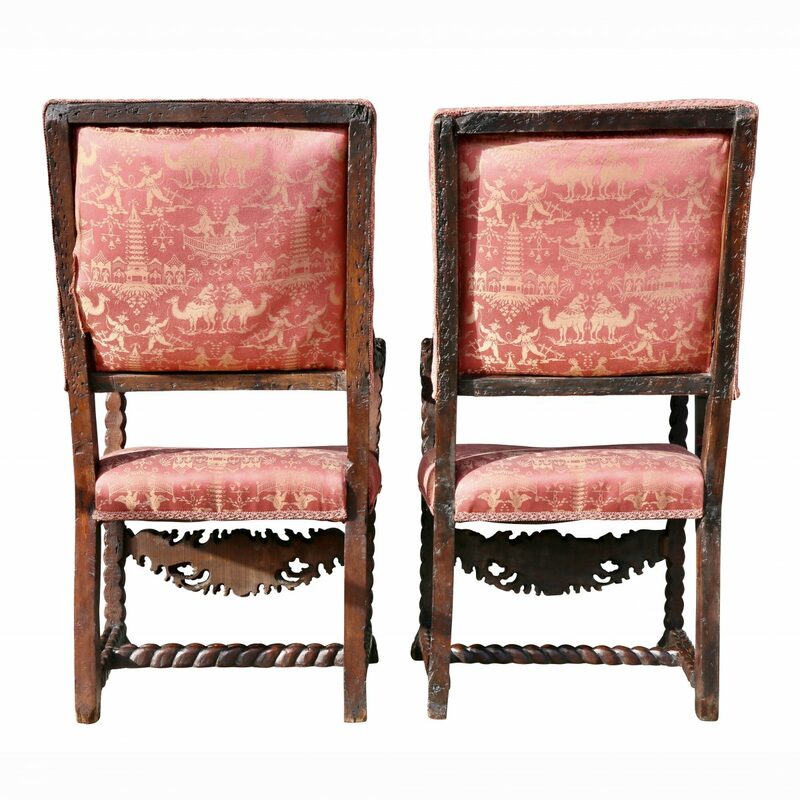 Each with upholstered back and seat, rope twist carved arms and legs with carved acanthus leaf stretcher and an H form rope carved stretcher. 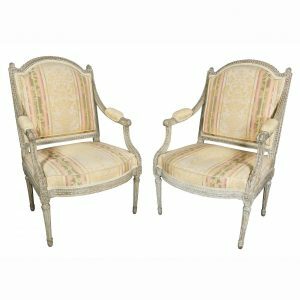 In good condition with wear consistent with age and use. 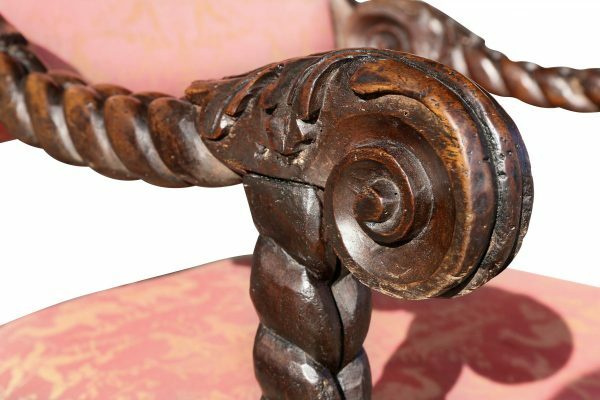 There are minor losses, and minor structural damages. 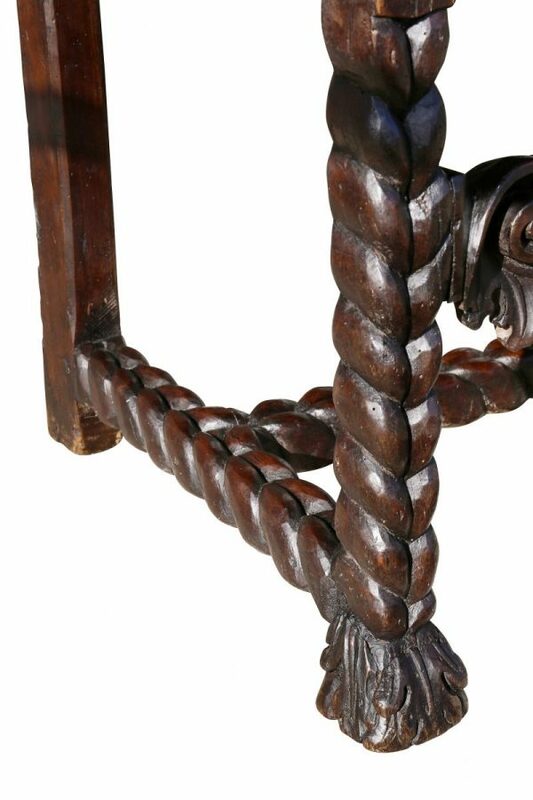 H 45.75 in. x W 26 in. 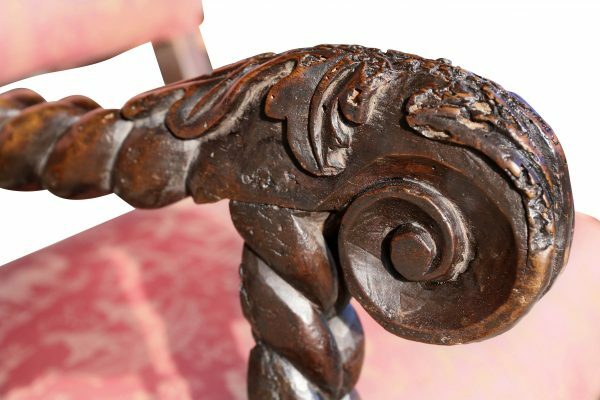 x D 25 in.